Here’s How To Choose The Best Inverter! Inverters are the commonly used names for uninterrupted power supply units which are used as alternative power sources in various applications. The applications may range from small ones such as backing up a few appliances in a household to huge industrial ones which are much more complex. Chennai is a crowded city with a large number of residential, commercial and industrial units; it goes without saying that all these units depend on power for their daily operation. The frequent power cuts nowadays have made inverters inevitable in Chennai. 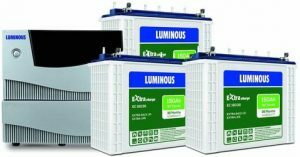 This guide would help you choose the best inverter in Chennai which is perfect for your requirements. How is the basic functioning of an uninterrupted power supply (UPS)? A battery, a charger, and an inverter together form the basic building blocks of an uninterrupted power supply unit. The inverter draws direct current (DC) from a battery and converts it to alternating current (AC) which can be used for the operations of various electrical and electronic devices. The battery has to be charged when a regular supply of electricity is available. Devices whose outputs are pure sine waves – This type of inverter produces an output power which is almost equivalent to that of the supply from the mains. The design is a bit complex as the output has to be smooth enough just like the main supply. 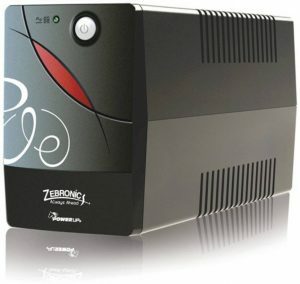 This type of inverter can be utilised to operate almost all devices. Their price is also comparatively higher. Devices whose outputs are sine waves in modified format – The output of this type of inverter is not as smooth as the former tye. These inverters cause sharp clipping during on and off phases, and hence they are not suitable for audio devices and induction based appliances. Appliances like heaters, laptop, etc. work fine with this type of inverter. How to determine the capacity of an inverter for your purpose? This is a common concern while planning to buy an inverter. The capacity of the inverter should be in accordance with your load requirement. Be it your household or a business firm; you must first calculate the load for which you need backup during power disruptions. For example, if you have three lights of 60 Watts, a computer of 300 Watts and two fans of 50 Watts, then the total power requirement is (3 * 60) + (1 * 300) + (2 * 50) =580 Watts. So, you need an inverter which provides a power of 700 Watts or more. Some additional capacity is always recommended for safe and reliable operation. How to choose the type of the battery to be used? The performance of a UPS unit greatly depends on the battery used in it. The capacity of the battery determines the time for which power backup can be provided. The capacity of batteries is expressed in Ampere Hours (Ah). Batteries with capacities ranging from 60 Ah to 220 Ah are generally available in the market (This is for household applications. It may differ for industrial applications). The capacity of the battery you need can be calculated by using the formula given below. Just like the inverter capacity, an additional capacity of 5 to 10 % is recommended for the battery as well because battery performance reduces with time. Start Your Search Now And Do Not Stop Until You Procure The Best Inverter In The Market! The above-listed steps would help you in selecting an inverter which suits your requirements. Make sure that you also do a bit of research about the inverter dealer before making the deal. The dealer should be reliable and reputed. Do not fall for fraud suppliers who offer inverters at a very low price. Quality comes at a certain price, and if someone offers you a price far less than the market value, then you have to be careful. Your focus should be on the quality and durability and not just the price. Adhere to the points discussed here and do not settle for anything lesser than the best!